The city of Kamloops, British Columbia, is a midway point between Vancouver and the Canadian Rockies. 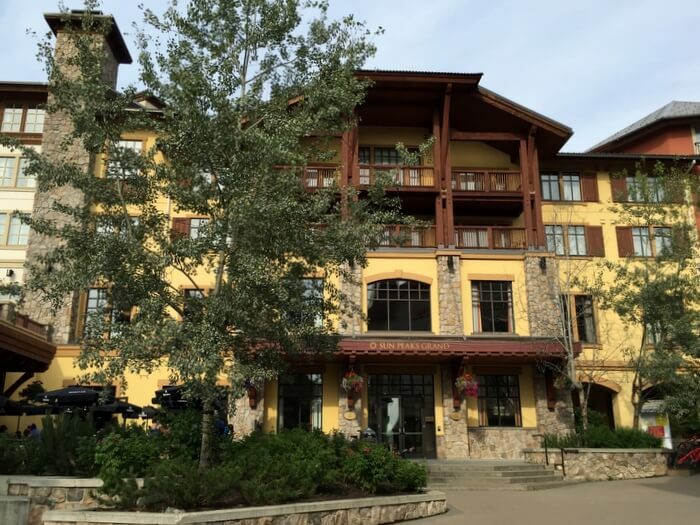 If you’re traveling between Canada’s west coast and the spectacularly beautiful mountain region of Banff, Lake Louise, and Jasper, it’s a convenient place for a road-trip rest stop. 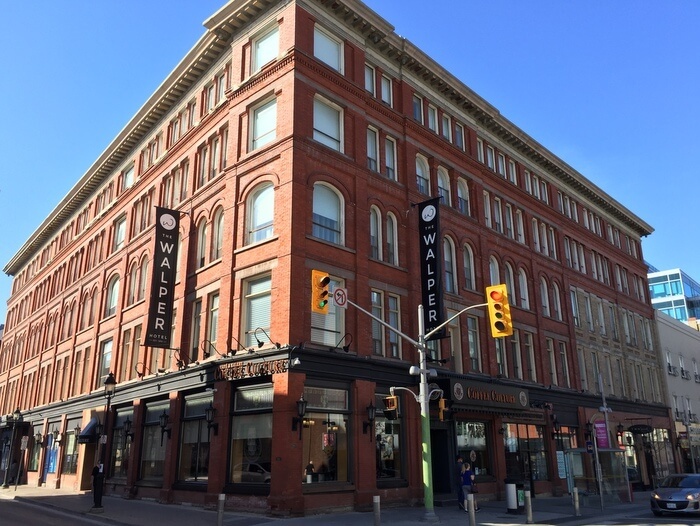 And if you’d like to stop off in a hotel that gives you a flavor of the region’s past, book a stay at The Plaza Hotel in downtown Kamloops. 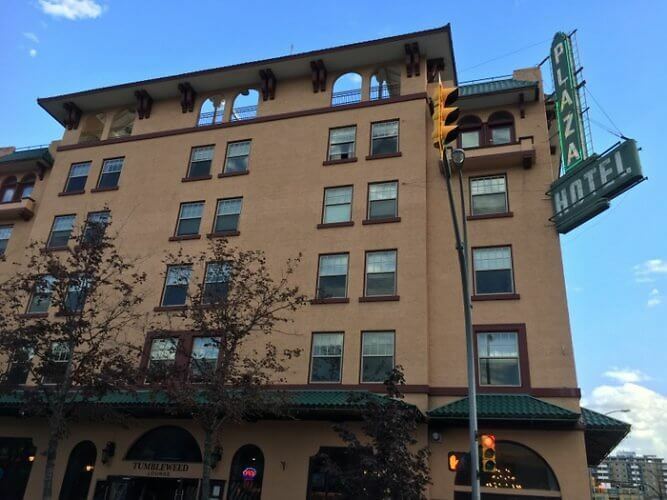 Opened in Kamloop’s city center in 1928 by a group of local business people, The Plaza Hotel — a five-story building with a peach-toned stucco exterior — feels like a step back into another era, albeit one with the modern amenities a traveler today would need. A tiny, heritage elevator takes you to many of The Plaza’s 68 rooms, which come in a range of types and configurations. 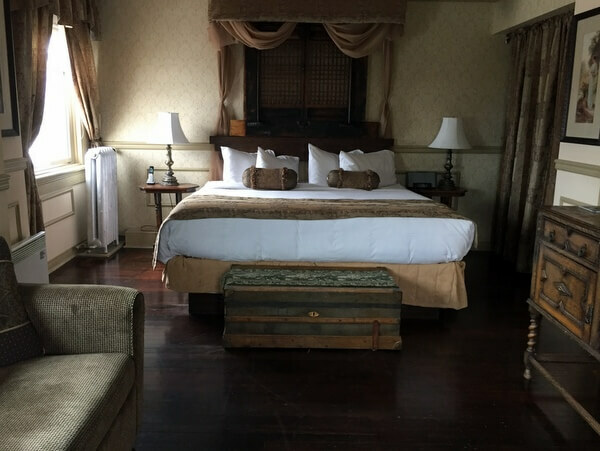 The smallest are the “heritage rooms” with one double bed, while standard rooms have two queens, and slightly larger “luxury” rooms have a king bed. Despite the variety of sizes and shapes, all rooms have similar dark-wood furnishings, with white linens and red accents. 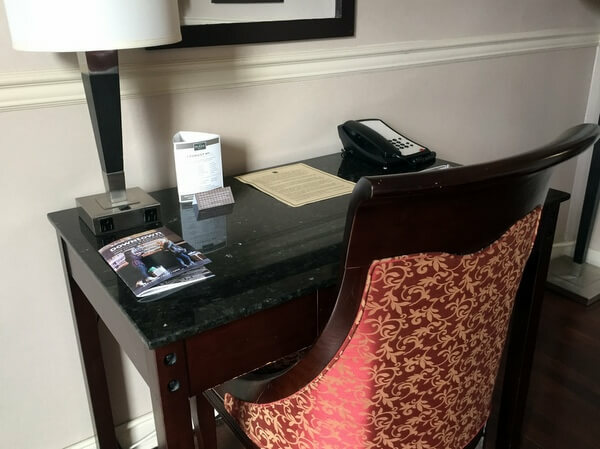 They’re equipped with air-conditioning, mini fridges, kettles, and coffeemakers, as well as flat-screen TVs, safes, complimentary Wi-Fi, and global calling services. The largest units are suites with sitting areas and more individual furnishings. From the hotel’s rooftop (which is not currently open to guests), the views extend across the city and into the surrounding hills. Some of the upper-floor guest rooms have similar views, while others face downtown storefronts. The hotel has no fitness facilities, but guests can request a complementary pass to the local YMCA, two blocks away. 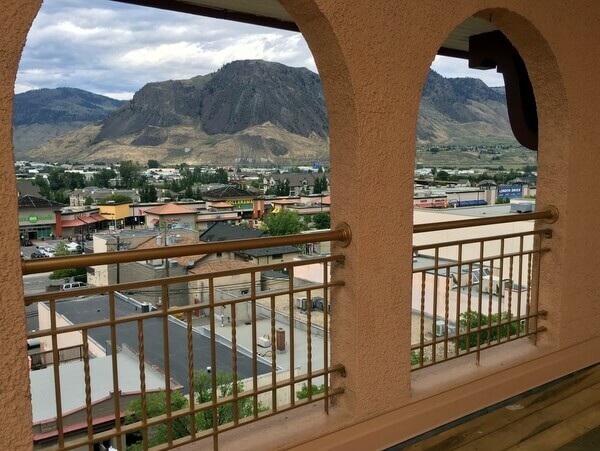 The Plaza Hotel is located in downtown Kamloops, so you’re centrally located for exploring the area. 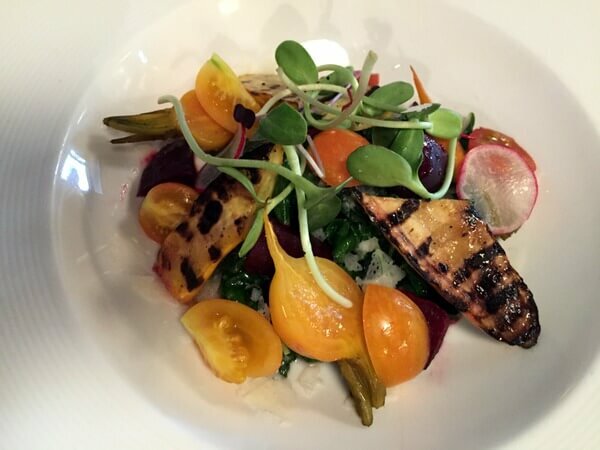 One of the city’s best dining spots, a block from the hotel, is Terra Restaurant, which features local ingredients in contemporary, seasonally-changing preparations. 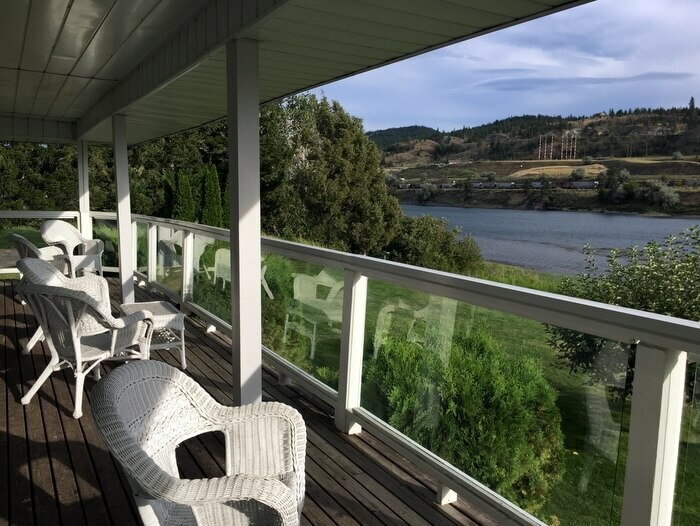 Though it sits to the north of BC’s Okanagan Valley, which is the province’s main wine-producing region, Kamloops has a growing wine industry, too. 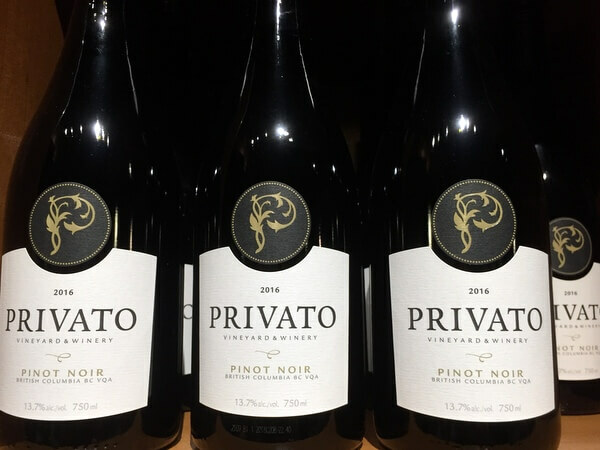 Several wineries on the outskirts of the city, including Privato Vineyard & Winery, Harper’s Trail, and Monte Creek Ranch welcome visitors for tastings. At Privato, you can purchase a picnic basket to enjoy with a glass of wine in the flower-filled garden outside the winery building. 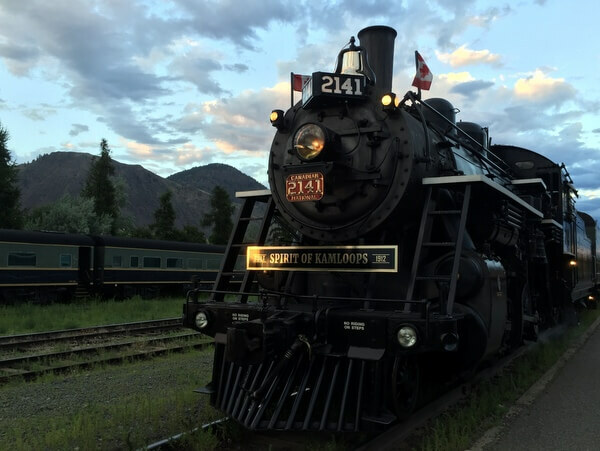 To take a ride back in time, book a seat on the Kamloops Heritage Railway, where a restored 1912 steam locomotive transports you through the desert-like hills outside the city. And if your train gets held up by horseback-riding “bandits,” don’t say you weren’t warned. Back at the Plaza Hotel, your trip into the region’s past may be a little less dramatic. But it will be a comfortable waystation for your travels across Western Canada. 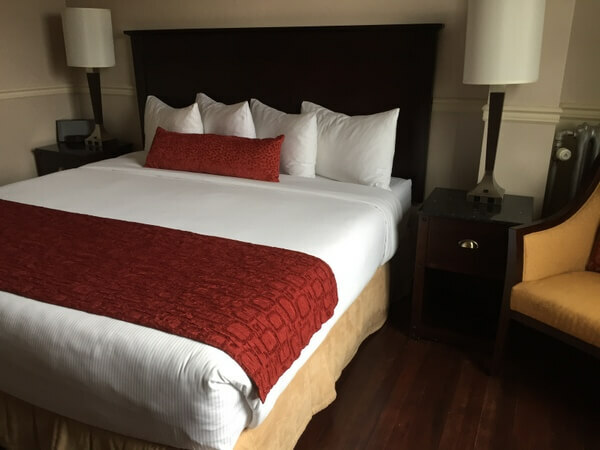 Double room rates at the Plaza Hotel start at CAD$129, including a simple hot buffet breakfast served in the lobby-level pub. Parking is available in the outdoor lot next door to the hotel for $8/day. You can make your reservations directly with the hotel on their website or through a booking site like Hotels.com, Expedia or others. Hotel feature by Vancouver-based travel, food, and feature writer Carolyn B. Heller. Photos © Carolyn B. Heller. Tourism Kamloops and The Plaza Hotel arranged my stay for review purposes.